Our Violin Super Heroes are using their Reverse Engineered Violins to help the Orange County Children’s Therapeutic Arts Center . Please help our brave Reverse Engineered Suzuki Violin Duo take the internet by storm with their unique version of Twinkle. They defy the odds by taking on life’s challenges with the power of music. Please Watch! Share! Like! And Follow! Daily so we can get to 300,000 points on the NCAM Challenge. We need 10,000 daily social media points to get there. 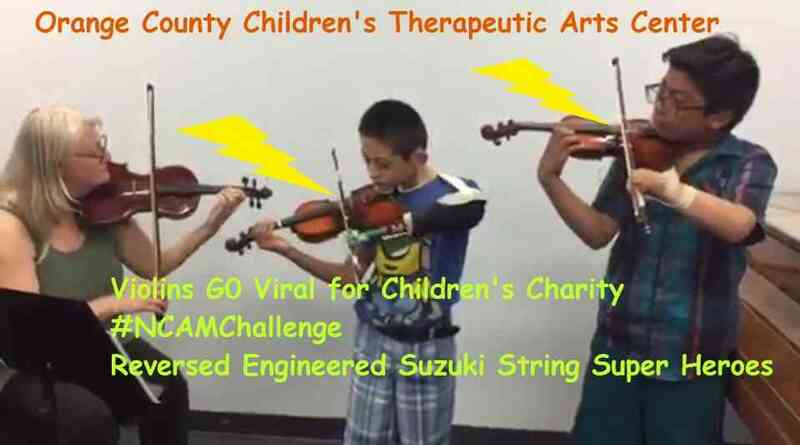 ViolinSuperheroes go Viral for children’s charity. Ms. Cynthia teaching adaptive violin class for children with physical disabilities. 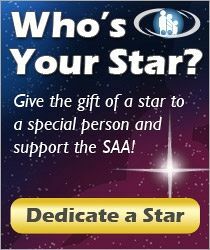 By being our heroes on line this summer you will do more than help our Super Heroes with their cause. You will also be sharing with the world some of the truly powerful things the Suzuki Movement has inspired through out the world. Born with ABS these children struggle just to button thier shirts every morning. 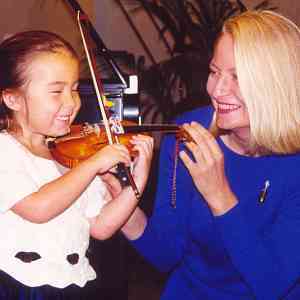 But it does not keep these youth from picking up their violins and playing for their favorite charity. We would be honored if you take up our challenge and make your own video to support our cause. Thank you for your daily participation. Your FB & Twitter support has brought us to #14 from the TOP in a few days. Its working. Don’t give up.